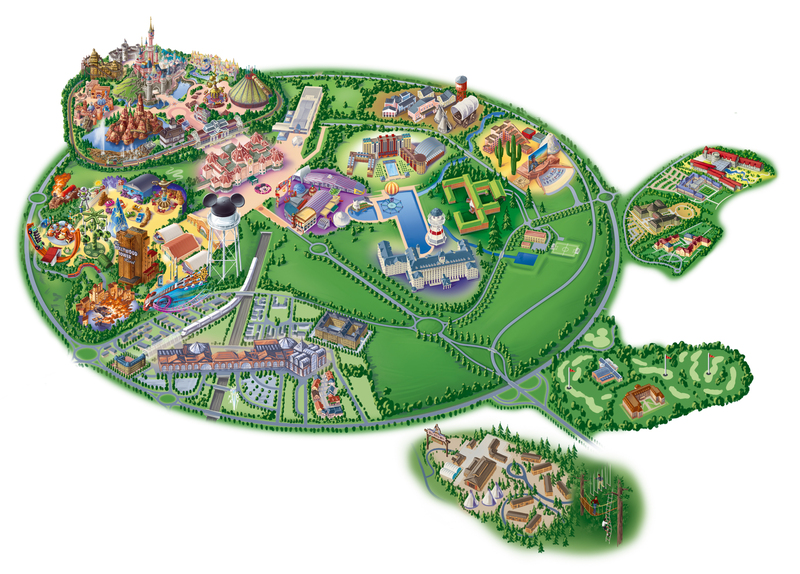 You can find on this page the map of Paris Disneyland Resort, the map of Disneyland Paris and the map of Walt Disney Studios. Disneyland Paris is a entertainment resort of 8.6 mi2 (22.30 km2), 19.9 miles (32 km) east of Paris including 2 parks: Disneyland Park and Walt Disney Studios as well as hotels and a golf course. The resort around 2 theme parks is composed by the Disney Village, 7 Disney hotels and 7 partner hotels, the Disneyland golf, 2 shopping centers and 2 train stations, a TGV station and a RER station putting Disneyland 40 minutes from Paris. It was inaugurated in 1992 and reached 15.4 million visitors in 2009. Disneyland Paris is the first theme park of Disneyland resort opened in 1992. 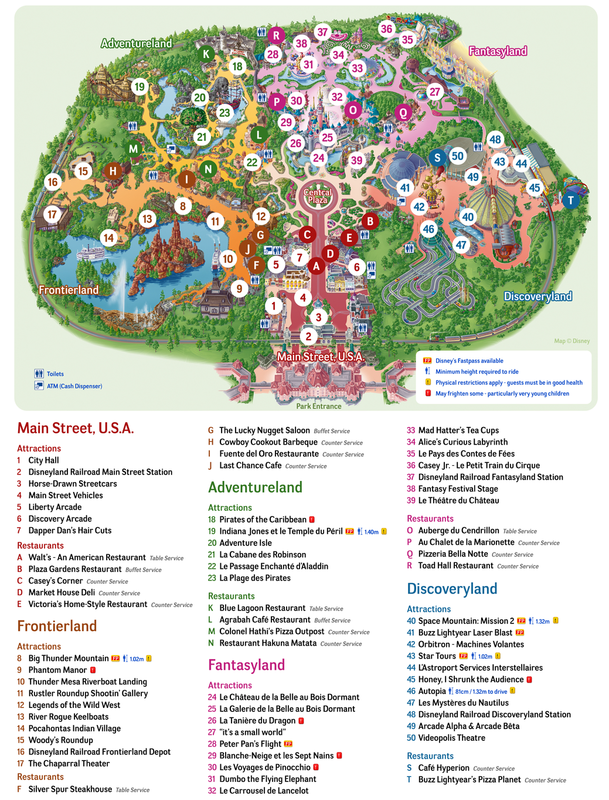 The park has 34 attractions on 55 hectares spread over 5 lands or sections: Main Street USA, Discoveryland, Fantasyland, Adventureland, Frontierland. Walt Disney Studios is the second park of Disneyland resort. It opened in 2002, 10 years after Disneyland Paris. 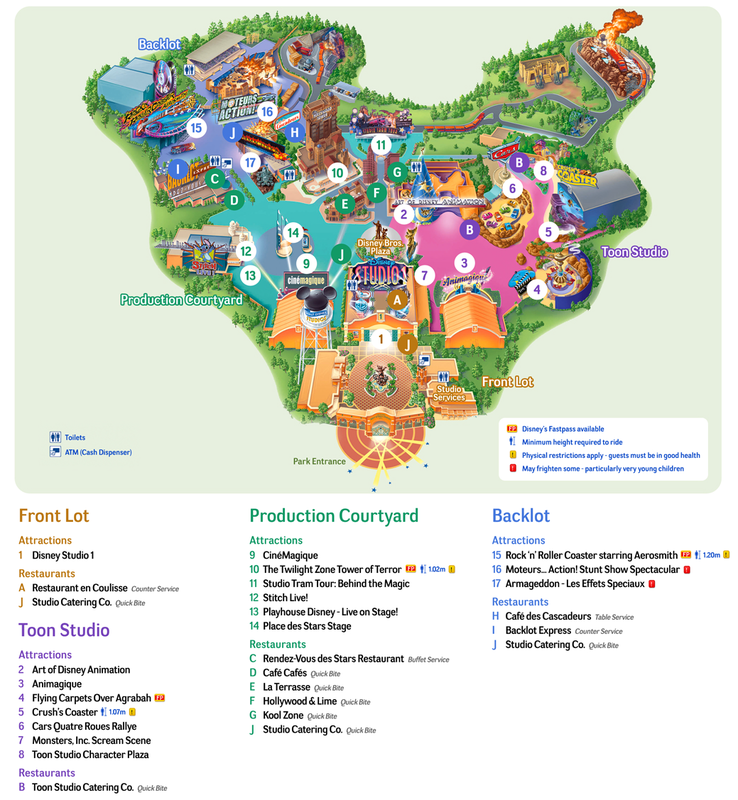 It extends over 27 hectares and has 17 attractions spread across Front Lot, Production Courtyard, Backlot, Toon Studio, Hollywood Boulvard and Toy Story Playland.